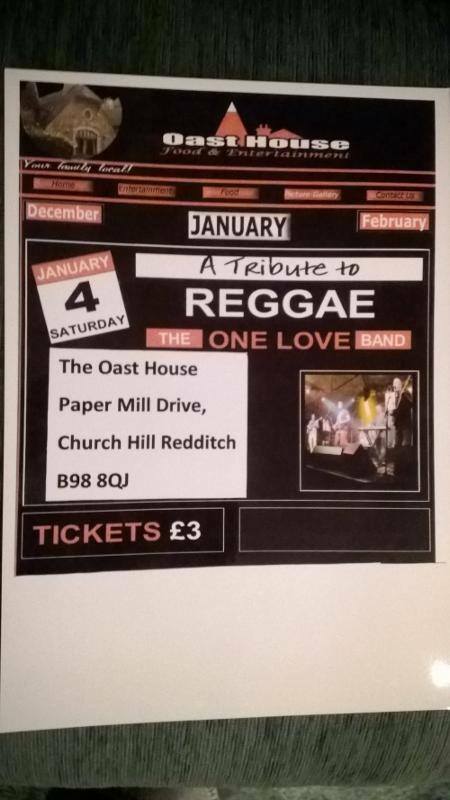 The One Love Band are back at the Oast House in Redditch. Amazing venue built to cater for live entertainment and the crowd were awesome. This time were bringing a guest vocalist ‘Jay ‘Bruno Mars’ Fenton’ what a voice. So don’t miss out on this night of pure entertainment ‘One Love’. The One Love Band back again with Mr J Fenton guesting on vocals.